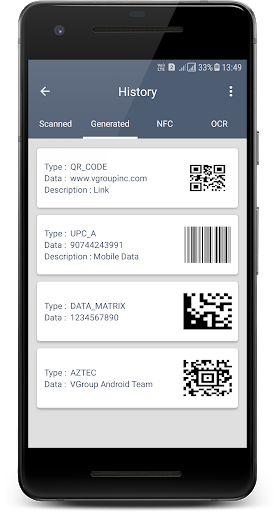 Scan n Gen | V Group Inc.
Scan N Gen is a multi-utility application which deals in recoding of data off the items having 1D or 2D (Dimensions), NFC/RFID tags. 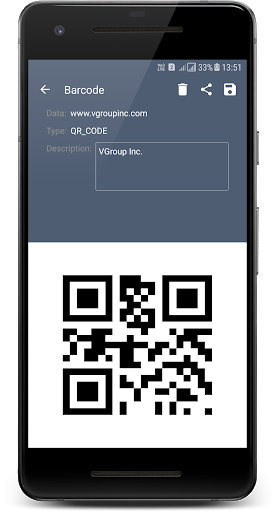 A user can generate a barcode of various types by inputting the desired data and can also use the camera to read the printed text off any surface. Scan N Gen maintains a database of all the items of encoded data, ocr data and NFC/RFID data. The user can add description to every entry in the application and share the data of the items present in the database. The scanned and generated barcodes can be shared as an image or in text format. 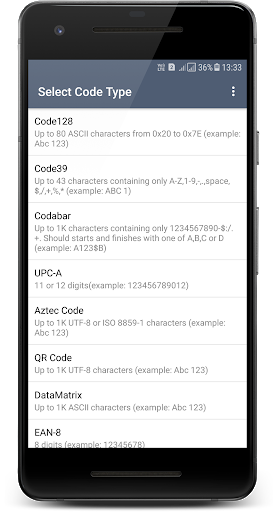 The NFC and OCR data can be shared as text. This section of the applications uses the camera present on the device to capture and decode encoded images of 1D or 2D formats, since the application uses the camera, it’s very versatile as cameras do not necessarily depend on the surface on which the image is printed on. Aztec 2D barcode format, Data Matrix , MaxiCode, QR Code. NFC/RFID Scanner uses the NFC hardware of the mobile device to scan and copy the data of any NFC device or tag currently in contact of the mobile device, after this the data is copied in database, as description can also be added it the database entry. OCR uses the back camera to scan for text from any surface. The user can select from the scanned text in real time and save it to the database. 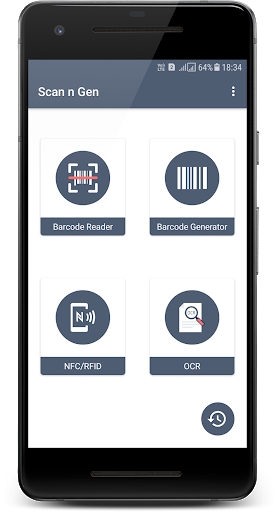 Scan n Gen is the fastest Scanner for Barcode/QR, NFC/RFID reader & Text Reader out there plus it create Barcode/QR code which can be saved & shared.